Hey all you Audi and VW guys out there! Just a heads up! 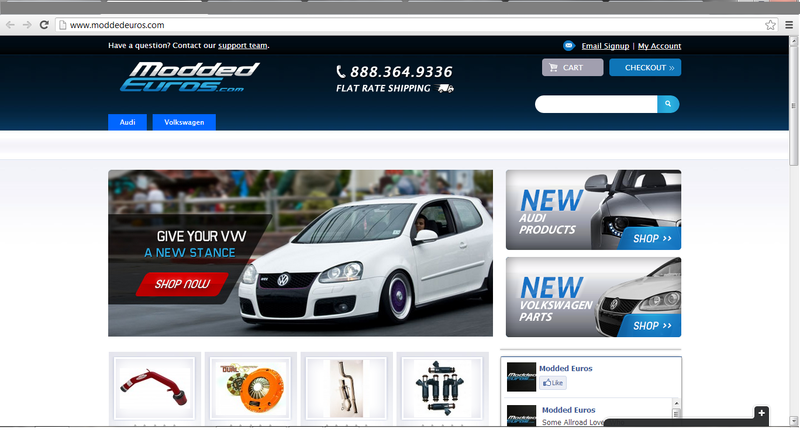 A new aftermarket Audi and Volkswagen parts online retail store has opened recently, www.ModdedEuros.com . Founded by 3 partners who previously worked in the automotive space for another platform, they wanted to branch out and start something of their own and more importantly work with cars they like. Right now the store features parts for Audi and VW’s but adding parts for BMW is in their roadmap. So far there are over 20 brands onsite and hundreds of products with new ones being added daily. If they do not have the part you are looking for, you can email them at support@moddedeuros.com and they are happy to get a price for you. Thanks guys for sharing our launch with your fans. Really appreciate it.